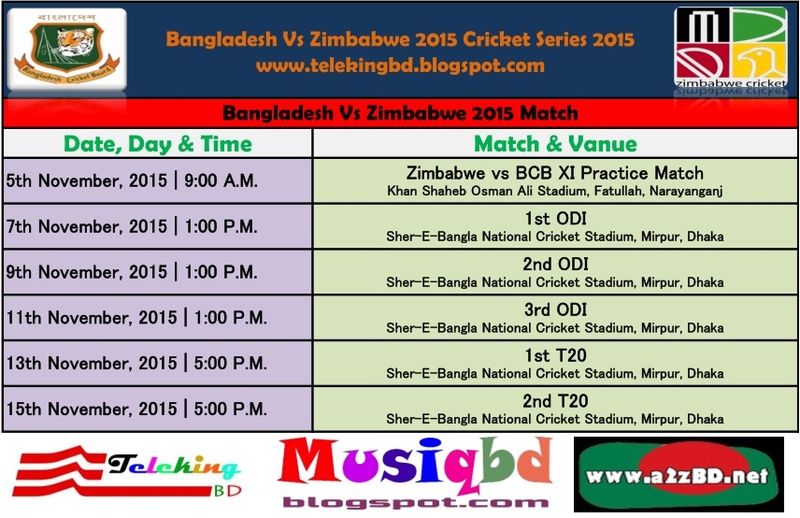 Bangladesh Vs Zimbabwe 2015 Cricket Series Is Starting From 7th November. The Series Will Consist Of 3 Odis And 2 T20 Matches. Zimbabwe Was Scheduled To Visit Bangladesh In January 2016 To Play A Complete Series Comprising Test, ODI And T20 Matches. 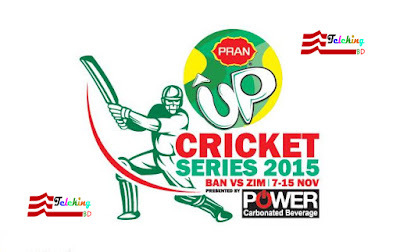 But, Due To The Unexpected Gap, The ODI And T20 Portion Is Going To Happen This November. 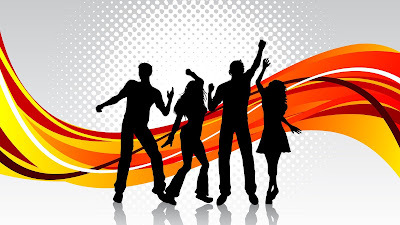 The Test Matches Will Be Held In January 2016 As Per Schedule. Bangladesh Preliminary Squad: Mashrafe Mortaza (Captain), Tamim Lqbal, Soumya Sarkar, Anamul Haque Bijoy, Imrul Kayes, Litton Das, Rony Talukdar, Shakib Al Hasan, Mushfiqur Rahim, Sabbir Rahman, Nasir Hossain, Arafat Sunny, Jubair Hossain, Al-Amin Hossain, Taskin Ahmed, Mustafizur Rahman, Shafiul Islam, Kamrul Islam Rabbi. Bangladesh Squad For 1st & 2nd Odi: Mashrafe Mortaza (Captain), Tamim Lqbal, Soumya Sarkar, Litton Das, Rony Talukdar, Shakib Al Hasan, Mushfiqur Rahim, Sabbir Rahman, Nasir Hossain, Arafat Sunny, Jubair Hossain, Al-Amin Hossain, Mustafizur Rahman, Kamrul Islam Rabbi. Zimbabwe Squad: Elton Chigumbura (Captain), Sikandar Raza, Regis Chakabva, Chamu Chibhabha, Tendai Chisoro, Graeme Cremer, Craig Ervine, Luke Jongwe, Neville Madziva, Wellington Masakadza, Richmond Mutumbami, Taurai Muzarabani, John Nyumbu, Tinashe Panyangara, Malcolm Waller, Sean Williams.